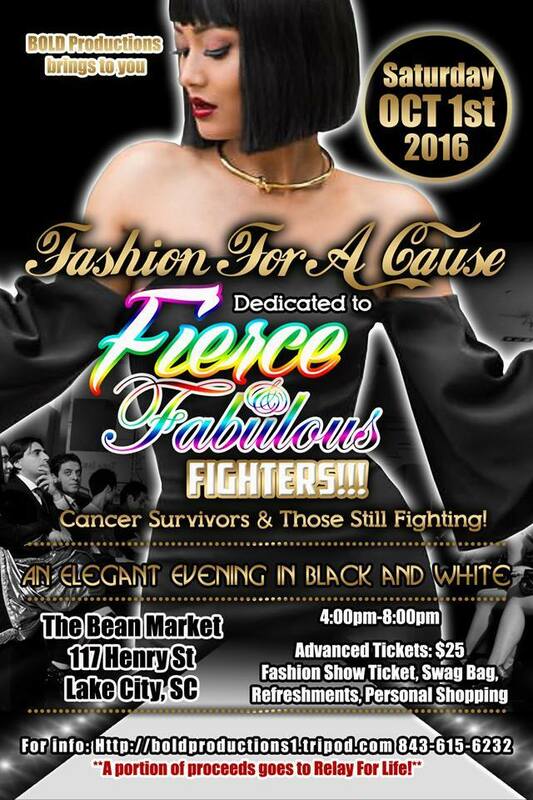 This fashion show is for cancer awareness! Specifically, for the celebration of the Fierce and Fabulous Fighters who fight this ugly disease and work hard to keep looking good. BOLD Productions & Beauty Remixed are searching for the best of the best Male and Female models for our upcoming event. We will mainly look at your style and confidence. We are not looking for professional/experienced models, we are mainly looking for reliable and motivated girls and guys who would love to walk down the catwalk. You must be 15+ and ladies must be able to walk in a minimum of a 3-inch heel. To find our models for the fashion show , we are organizing a MODEL CASTING Saturday, August 20th. What to bring to the casting ? Wear a plain black or white tank top or fitted t-shirt and skinny legs or jeggings. Unfortunately, it won’t be paid, that’s why we are not looking for professional models. A photographer will take pictures through out the evening. The show will also be a good opportunity to develop your portfolio and to get yourself known a little bit !